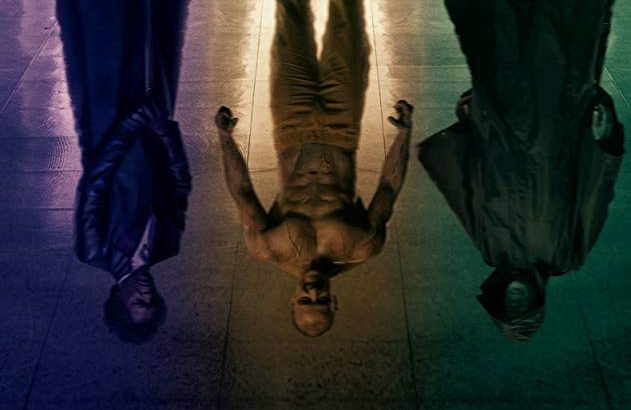 Glass is a 2019 American superhero thriller film written, produced and directed by M. Night Shyamalan. The film is a sequel to Shyamalan’s previous films Unbreakable (2000) and Split (2016), cumulatively forming the Eastrail 177 Trilogy. Bruce Willis, Samuel L. Jackson, Spencer Treat Clark, and Charlayne Woodard reprise their Unbreakable roles, while James McAvoy and Anya Taylor-Joy return as their Split characters, with Sarah Paulson, Adam David Thompson, and Luke Kirby joining the cast. While there was interest in creating a sequel to Unbreakable following its release, Touchstone Pictures opted not to finance one at that time despite the film’s solid box office performance. Shyamalan set out on writing Split using a character he had written for Unbreakable but pulled from the script due to balance issues. Shyamalan realized the opportunity he had to create a trilogy of works, and adapted the ending of Split to establish the film as within the Unbreakable narrative. This included securing the rights to use Willis’ Unbreakable character from Disney, with the promise of including them within the production and distribution of this third film alongside Universal Pictures should it be made. Split was a financial and critical success, and by April 2017, Shyamalan announced that he had started the production process for Glass. The film is scheduled to be released on January 18, 2019, by Universal Pictures in the United States and by Walt Disney Studios Motion Pictures under the Buena Vista International label in international territories. The film received mixed reviews from critics, who found it underwhelming and said “the premise overstays its welcome and undermines its main story”, although the performances and the entertainment value of the first half were praised. David Dunn (Bruce Willis) works with his son in protecting people from criminals using their superhuman powers. He learns from his son that Kevin Wendell Crumb’s (James McAvoy) has a group of cheerleaders held up in a warehouse and David goes there to free them. When he gets there he engages in battle with “The Beast” and the fight spills out to the streets. The cops are called and they are both eventually captured and sent to a mental institute where Elijah Price (Samuel L. Jackson) happens to be at. Dr. Ellie Staple (Sarah Paulson) is the head doctor there who works with patients who claims they have special powers in suppressing those thoughts. She works with them in persuading them that there is no such thing as special powers and they are dealing with a mental illness. Meanwhile Elijah Price is secretly working with Kevin Wendell in unleashing the beast and exposing the world to the existence of superheroes. With the help of The Beast, Elijah escapes and soon is pursued by David Dunn, who battles him again on city streets. Dr. Ellie Staple arrives with military men and explains that she has spent majority of her career preventing other superheroes from exposing themselves to the world. The military men are in the same secret society Staple is working with. They capture David Dunn and kill him by drowning him in a puddle. Elijah Price is killed by Kevin Wendell once it comes out that the train crash Price provoked to find David also killed Kevin’s father, who was in the same train. (This made his mother mistreat Kevin, torturing him, leading to the creation of Kevin’s personalities including the horde to protect him.) Eventually, Wendell is also killed by the military men.